I have listed my first item on TpT and TN!!! Of course it's a freebie! 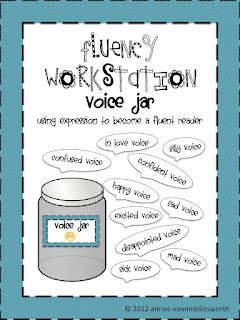 Feel free to check out my Fluency Workstation Voice Jar!! My students love this station, hopefully your students will as well. I will be adding many more "workstation jar" activities in the next few weeks!! Any comments or suggestions would be greatly appreciated. Feel free to let other bloggers know about my freebie!! Good luck with your move! 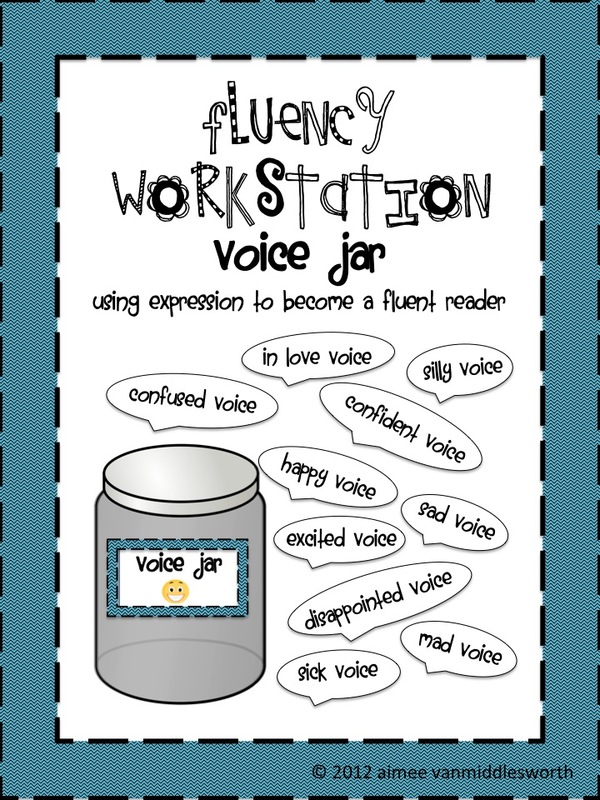 Your fluency work station is wonderful! Thanks so much for the freebie! Thank you! Moving your classroom is like moving a small house. It is amazing how much you can accumulate in such a small space!! You are very lucky! My first graders helped me pack but we were not allowed to move anything until school dismissed for summer. This is quite a journey! I'm learning lots of new ways to use the computer!! I just "followed" your blog! Congrats on starting your new store!! Great freebie! I love the idea of using jars - my classroom is small so that would work great for us! Where I teach, the elementary school and middle school are switching buildings...everyone P-8 except for one person has to move! Just found your blog and am your newest follower. I love your freebie. Thanks so much! I just discovered your blog today and am now a new follower. Love the fluency jar activity, too!